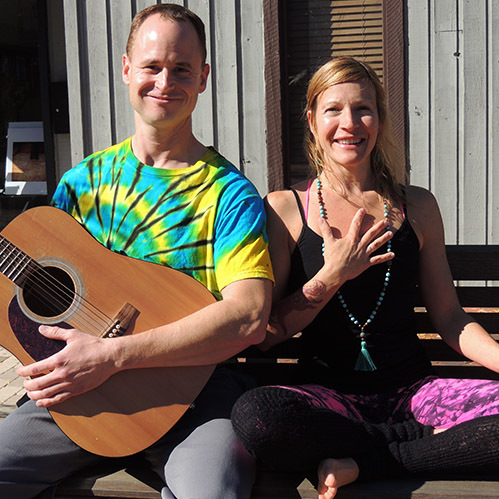 Join Meggan Riley & Mike McGuigan for a yoga, meditation and sound healing session Friday and Saturday morning at 8:30am in the festival bowl. Meggan will lead students through a gentle and mixed level class designed to prepare body, mind and soul for a day of dancing and connection. Mike will offer layers of sound healing throughout the practice to compliment movement, breath and the overall practice. Together, they will guide you on a journey that deeply honors the medicine of movement and sound. Please bring your mat, towel, water and any other props needed. Students can come to work hard physically, or simply sit and meditate. All are welcome!